Maruti Suzuki India Limited (MSIL) has been receiving a phenomenal response for the Ertiga from customers. 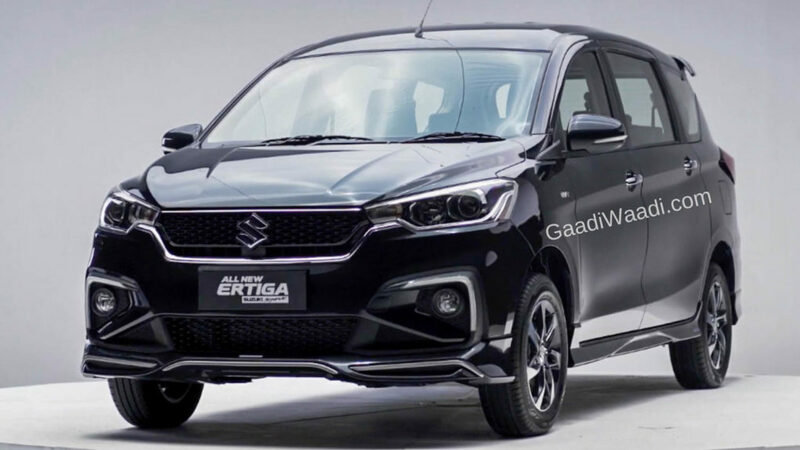 Having entered the market late last year, the all-new Maruti Ertiga is based on the 5th-generation Heartect platform with bigger proportions and evolved exterior. Since the Cross version of the second generation Ertiga is expected to be brimmed with premium features, it is only appropriate to be offered in top-spec 1.5-litre SHVS petrol engine with effortless four-speed torque converter automatic transmission. Ever since the all-new Ertiga came into existence, it has been lauded for its thoroughly improved exterior with sharper design cues bringing a youthful vibe to the MPV. The addition of LED Daytime Running Lights in the Ertiga Cross will further elevate its stance from the visual standpoint. The main feature expected on the Maruti Suzuki Ertiga Cross is the availability of captain seats for the middle row passengers. It will help more customers wanting to get chauffeured around rather than having a good time behind the steering wheel. 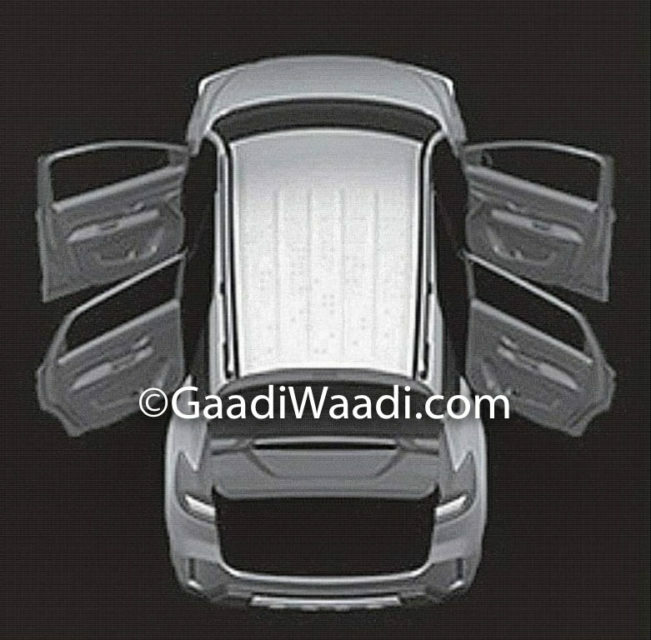 Moreover, the 6 seat configuration will notch up the upmarket feel of the MPV. Cruise control is part of the convenience factor as the system automatically controls the speed using a servomechanism that takes over the throttle to maintain a steady speed. It will be of great significance while cruising down the highways. Currently, none of the New Ertiga variants offers cruise control. It is no secret that Maruti Suzuki is expanding its newly in-house developed engines across the domestic range to comply with the upcoming stringent emission standards and to completely stop relying on Fiat-sourced powertrains. The K15B SHVS petrol is already present in the Ertiga following its debut in the facelifted Ciaz last year while an all-new 1.5-litre diesel engine introduced last month. With Maruti Suzuki encountering appreciable sales success in volume sales courtesy of the smart hybrid technology, but the all-new 1.5-litre diesel engine may not have it after all. 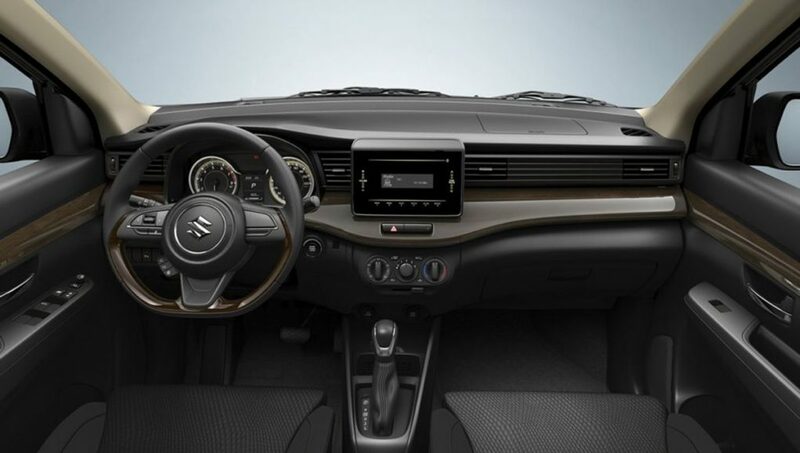 Maruti Suzuki sells its premium lineup of cars at Nexa dealerships and it’s no brainer that a range-topping model like Ertiga Cross will have an upmarket interior to dial things up for good measure. Features like leather seat upholstery and metallic accents could only justify the presence. The largest automaker in the country could use all black interior theme in the six-seater Ertiga cross while equipment like sunglass holder and cooled glovebox may well be added as well. 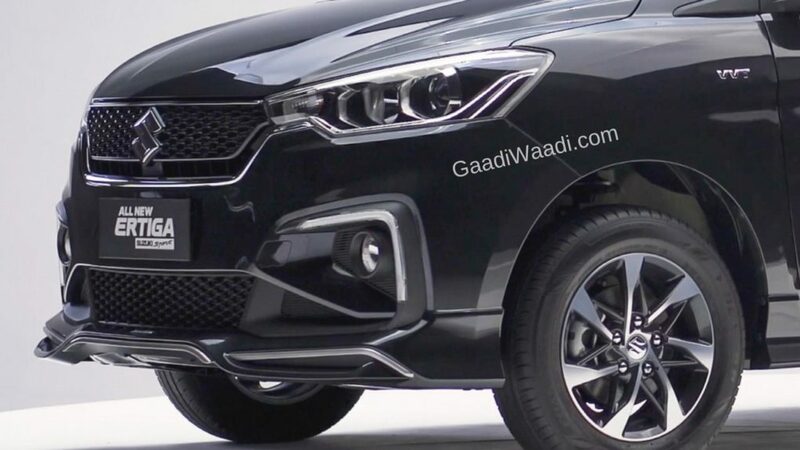 Compared to the standard Ertiga, the Cross version is expected to get a set of newly designed precision cut alloy wheels. Besides the exterior changes, the new wheels will likely help it differentiate from the regular lineup even better. 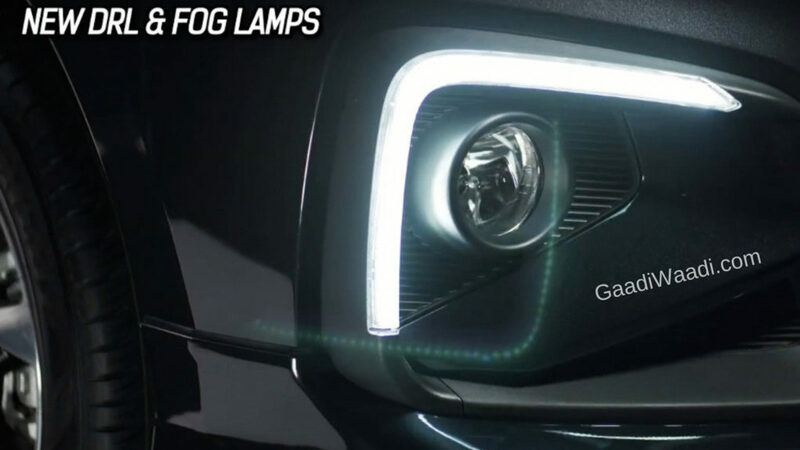 The LED DRLs could be accompanied by LED projector headlamps in the Ertiga Cross and it is another top-of-the-line exterior feature we reckon it may possess. 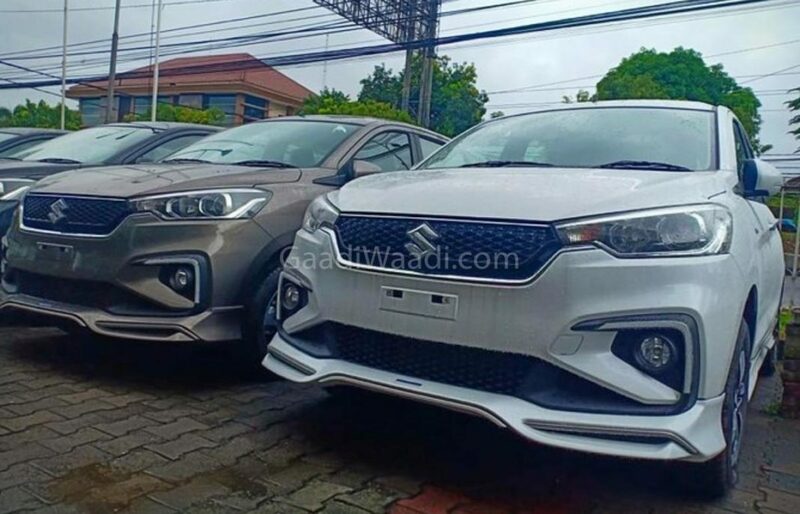 Maruti Suzuki is believed to introduce cosmetic updates with subtle inserts and the increased appliance of chrome with aggressive bodykit comprising of sportier bumpers up front and rear. Body cladding, side skirts and faux diffusers are other expected exterior features.